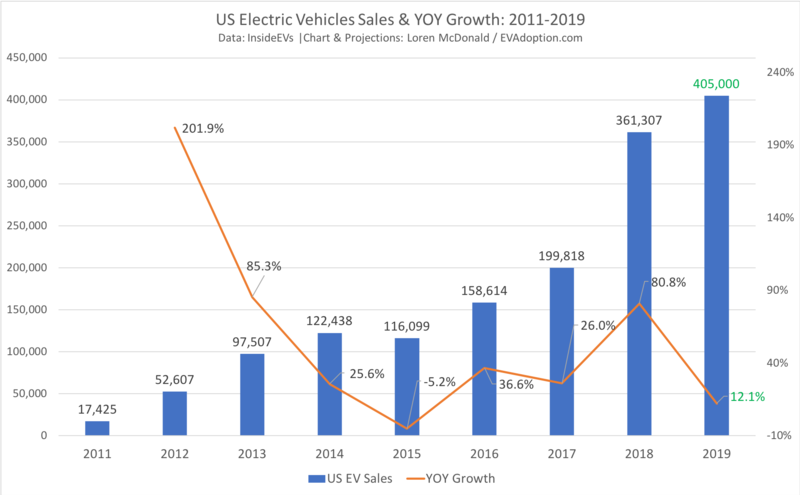 The US will see 12% electric vehicle sales growth in 2019 by my estimates, a significant decline from 2018’s year-over-year (YOY) growth of 81%. 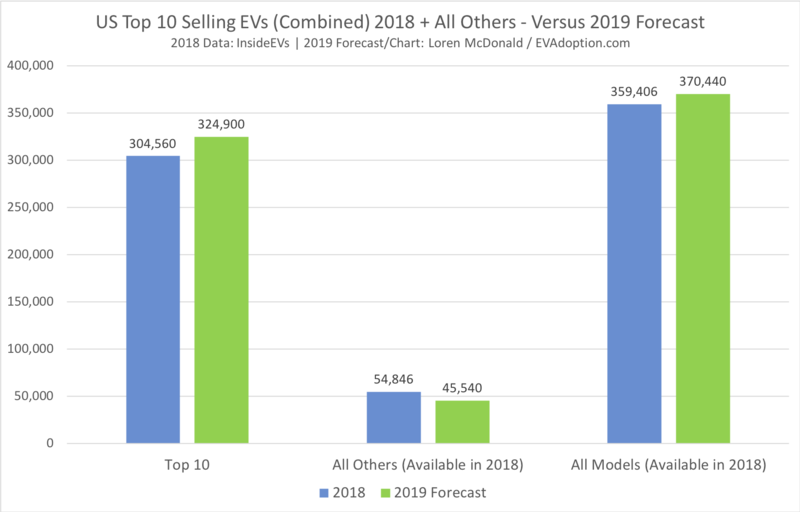 While 2018 was the best year ever for electric vehicle sales in the US, with an estimated volume of 361,307 sales (per InsideEVs), I’m forecasting only a modest increase to 405,000 units for 2019. 2018 was also a milestone year for EV sales, as the share of new vehicles purchased surpassed 2% for the first time. 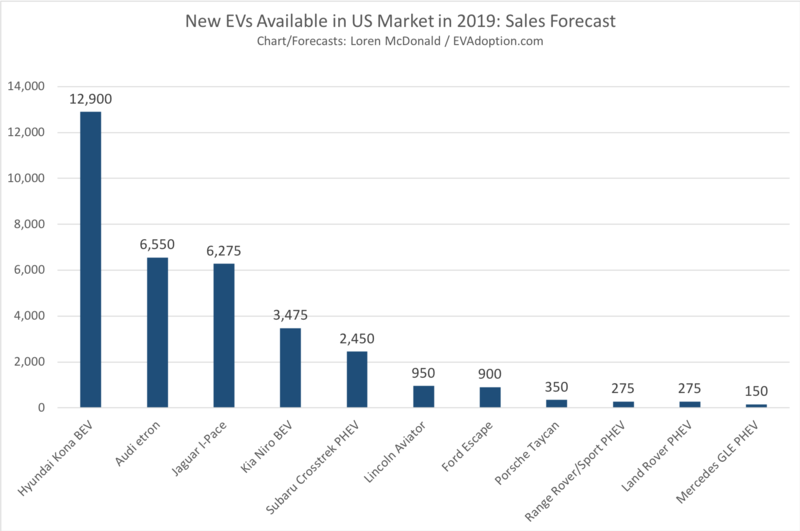 With only modest growth in 2019 and estimated sales of 16.8 million vehicles overall, I’m forecasting EV sales market share of around 2.45% for the year. Why Such Low Growth for 2019? 1. 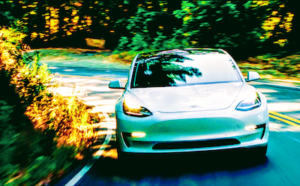 2018 Tesla Model 3 sales: The vast majority of sales growth in 2018 came from a single EV — the Tesla Model 3. And if you combine the Model 3 with the Honda Clarity PHEV, which was launched in late 2017, and the Toyota Prius Prime, net sales in theory would’ve actually declined by 0.5% in 2018. Now, of course, many of the consumers who purchased or leased one of those three vehicles would’ve purchased another EV model, but I’m guessing that if the Model 3 did not exist, YOY sales growth would’ve been in the 25% to 35% range — as was the case in 2014, 2016, and 2017. 2. Europe/China deliveries for Model 3: With a substantial percentage of Tesla Model 3 deliveries expected to shift to Europe and China in 2019, it will be a challenge for Tesla to significantly increase both production and deliveries for the US market over 2018 levels. 3. 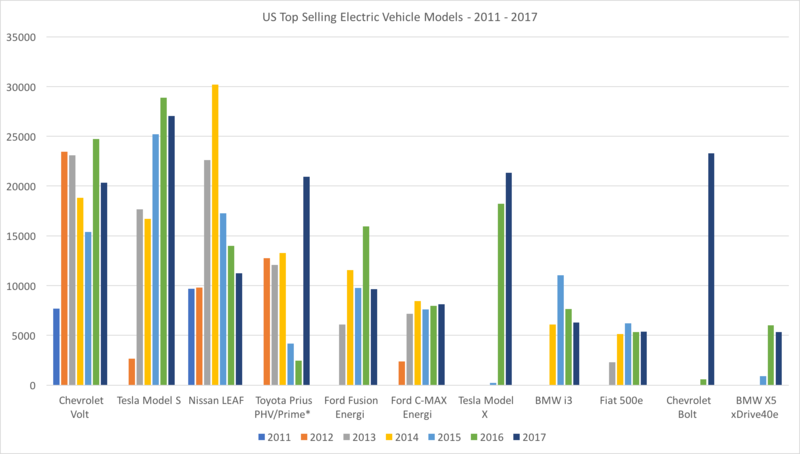 No introduction of any new high-selling EVs: As I wrote in “New Models Drive Majority Of US Plug-In Vehicle Sales Growth, Analysis Shows,” the majority of annual EV sales growth in the US historically has come from new model introductions early in a year or late the previous year. In 2018, it was all about the Tesla Model 3, with some help from the Honda Clarity PHEV. While several new EVs will be available in the US in 2019, I expect only one model (Hyundai Kona EV) to average 1,000 units per month for the year. Tesla Model 3: Tesla sold approximately 140,000 Model 3s in 2018 in the US and I’m forecasting 160,000 for 2019. 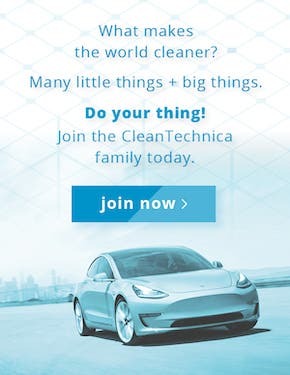 If we assume that Tesla is able to consistently produce at least 20,000 Model 3s per month, that would equal 240,000 or more for all of 2019. Tesla is now starting to focus on delivering a significant percentage of the Model 3s it produces for delivery to Europe and China. 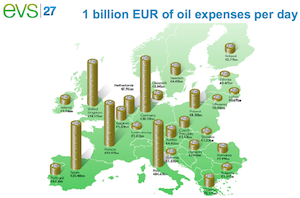 Some estimates are for around 50% over the next few quarters. Additionally, some percentage will also be delivered to Canada. This means that Tesla will probably deliver anywhere from a low of about 120,000 to a high of around 180,000 Model 3s in the US in 2019. With Tesla’s announced layoffs on January 18, lack of capital to finance the leasing option, and being several months away from delivering the long-promised $35,000 version, the company has a tough road ahead. That said, I’m using 160,000 for my forecast, an increase of roughly 20,000 over 2018. 2. 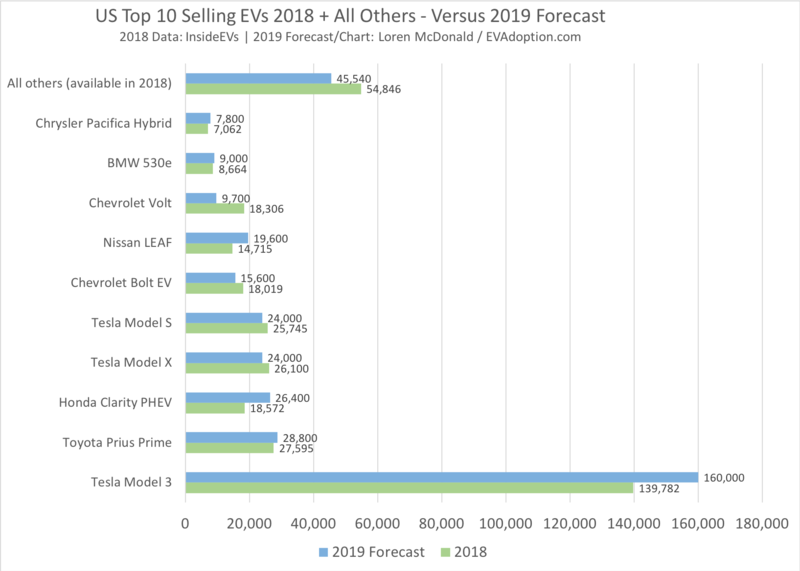 Existing EVs: For EV models available in all/most of 2018 and likely all or most of 2019, I forecast an increase of only roughly 11,000 units. 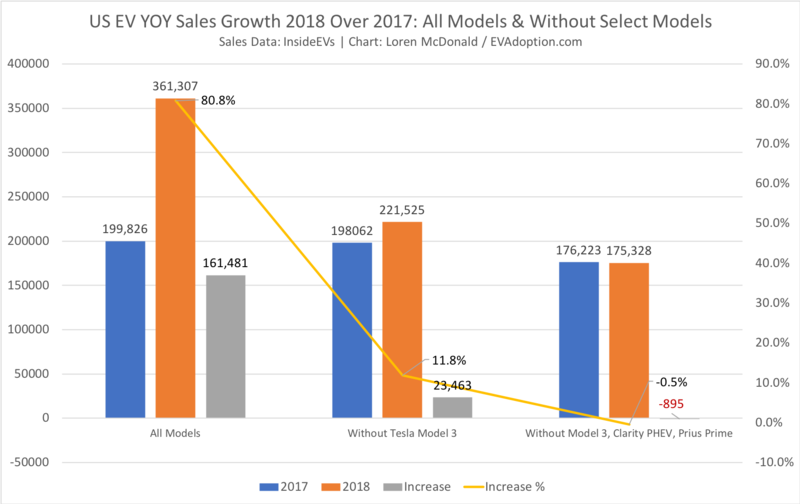 While I expect modest increases from models including the Model 3, Honda Clarity PHEV, Toyota Prius Prime, and Nissan LEAF, I also anticipate sales declines from many models, including the Chevrolet Bolt and Volt, Fiat 500e, Ford Fusion Energi, and BMW i3. In fact, I’m forecasting a sales decrease of all models outside of the top 10 of nearly 10,000 units. Some of these models, such as the Volt, Fusion Energi, and Cadillac CT6 PHEV (a low-volume seller anyway), are being discontinued. Many others are simply not very competitive, including with new models from their own brands (e.g., Kia Niro EV and Hyundai Kona EV). Many of these models won’t reach dealers until the middle or later months of 2019. Several of these EVs will only be available in select ZEV states. Many will simply be limited on volume due either to battery supply constraints and/or unit allocation to other global markets. 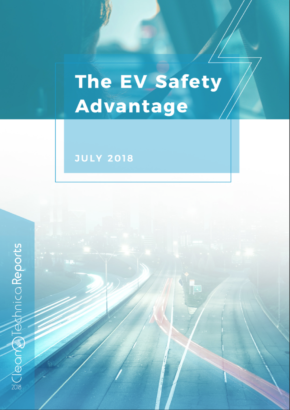 Finally, 7 of the 11 new EVs are luxury vehicles with typical prices ranging from around $70,000 to $100,000, which naturally limits sales potential. 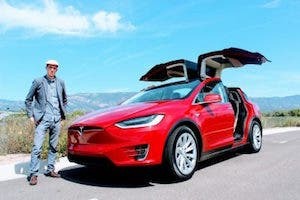 Phaseout of the federal EV tax credit for Tesla and GM: Since GM is ending production of the Cadillac CT6 and Chevrolet Volt PHEVs, the tax credit will have little to no impact on sales of those models. GM promises to increase production of the Bolt, but it is also shipping many units to Canada, South Korea, and elsewhere, so it seems to have a built-in cap on sales regardless. Secondly, the Bolt has a bigger challenge than the phaseout of the tax credit, which is the launch of both the Hyundai Kona and Kia Niro BEVs. Both CUVs are getting near-unanimous positive reviews, and with slightly more range at a similar price to the Bolt, the Bolt’s sales growth was going to be a struggle in 2019 regardless of the tax credit availability in whole or part. I don’t expect the phaseout of the tax credit to have much of an impact on the Tesla Model S and Model X as for buyers of $80,000–100,000+ vehicles — a tax credit is not a make or break factor. 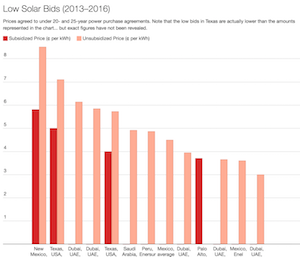 It could have some impact on buyers of the Model 3 who were heavily and incorrectly factoring the federal tax credit into the purchase price. But, overall, the inability to lease and buy the short-range version will have a bigger negative impact on sales demand. Likelihood of low gas prices: Gas prices are currently very low in the US and are expected to remain so in 2019, except for the usual summer increases. 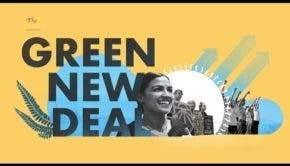 The one caveat is gas prices will likely remain high in California and other western states relative to most of the rest of the US, a factor that will continue to contribute to high demand for EVs on the left coast. Economic slowdown: Most economists are forecasting a slowing in the US (and global) economy in 2019, but likely not turning into a recession. Rising interest rates, a rocky stock market, and job uncertainty mean that some potential new EV buyers might hold off for a year or two, opt for a used gasmobile or EV, or choose a more affordable non-EV model. Decline in auto sales overall: Wards Auto, NADA, and other analysts are forecasting US light vehicle sales of 16.8 million in 2019, a decline from the surprising 17.3 million in 2018. An overall decline in auto sales likely means lower growth for EVs as well, though an increase in market share. And while pickups are in the works from Rivian, Bollinger, Tesla, and Workhorse, none will reach market in 2019 (or only in a limited volume) and all are either niche or expensive trucks. As a result, the shift to SUVs and pickups will limit upside growth of EVs in the US for a few more years until affordable models reach market. Continued shift to used vehicles: In addition to American consumer’s love of SUVs and trucks, US consumers also continue to favor buying used cars over buying or leasing new vehicles. And with many unit of the Tesla Model S, Chevrolet Volt, Fiat 500e, and Nissan LEAF coming off 2016 leases in 2019, some potential new EV buyers might opt for a used EV until the Tesla Model Y or other desired EV reaches market. 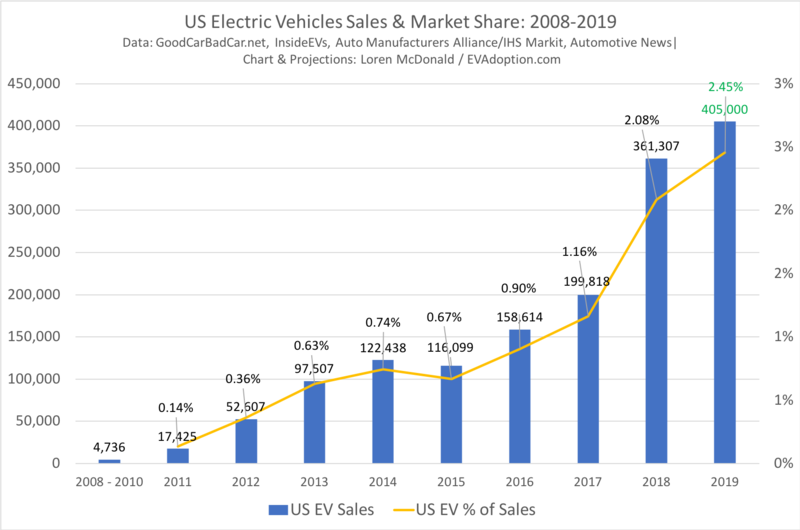 2019 will be a solid year for EV sales in the US, but until we see a few more new high-volume models become available, growth will only be modest.